Google Analytics is the best tool to create custom Facebook Audience segments for you social media advertisement. This paring is a match made in heaven. Often people start their journey into Facebook Advertising either targeting a wide audience or guessing at interest group. However, using Google Analytics cuts out the guesswork and allows you to hyper target your customers based on your existing data. Here is a quick and easy way to discover your audience groups. All of this data can bee accessed in both platforms. All of this data can bee accessed in both platforms. The right side you can see your Facebook Ad tool on the the right is Google Analytics Audience section. These both can be use to create a custom Facebook audience. Get familiar with the audience section in Google analytics this mirrors your Facebook Analytics. The subsections will allow your define your Facebook audience to attract more profitable users base. Clicking the GEO report will allow you to segment your user base by location. You can discover which country or city is bringing you the most qualified traffic. You can sort this traffic by transaction and conversion rate. This will help you define your most profitable audience. See the image below. You can find this report by following. From the image you can see that our target cities in America. Our most profitable cities are New York and Boca Raton. However, Take in account the conversion rate, we can determine what it will cost for us to acquire a customer based Facebook CPC. We can use this information to define our campaigns. This is always a area of contention. Often people feel that there product leans towards a certain gender; however, being data driven will allow you to answer this question with the gender the report. You should evaluate the conversion rate and revenue from these two segments. There are three categories in Google Analytics are Affinity Groups, In-Market and Others. The group that is further down the conversion cycle is in the In-Market Segments. This segment is closer to users who actually searching for your product category which would be a better estimation of consumer interest. 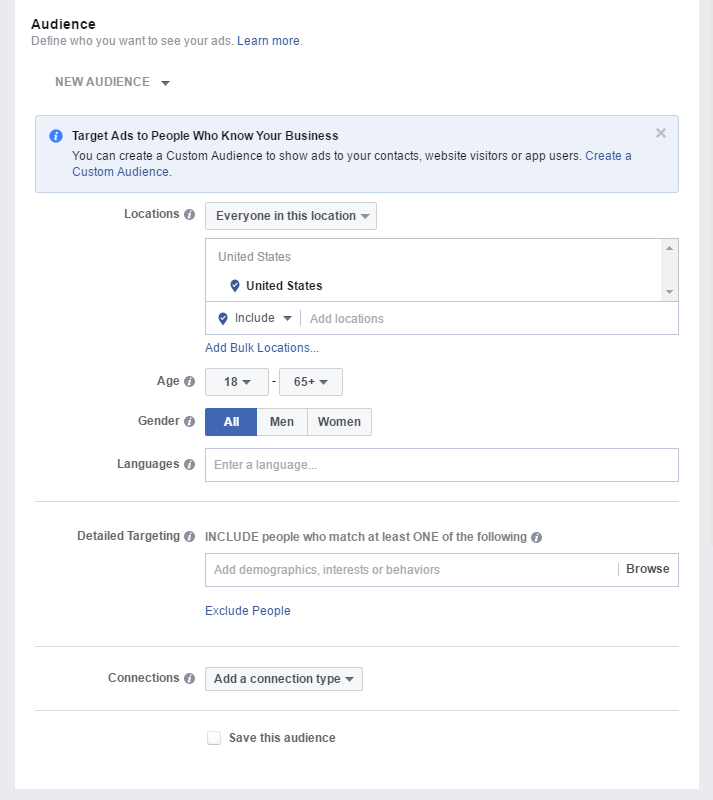 These can be added or even exclude from your Facebook Targeting list. The last step is choosing an exact audience would be to layer different dimensions. This can be added to a single ad. To see the effectiveness of this layers, we can use the secondary dimension of age for the top two profitable sections, we can see which is most profitable. Which Device should I target? You should check out this tutorial on how to create a custom report for the busiest hour of day for your website.